Last night when I popped to M&S to collect some frames (nightmare story -will blog about it when I have more time!) I spotted this cushion from M&S and fell in love! 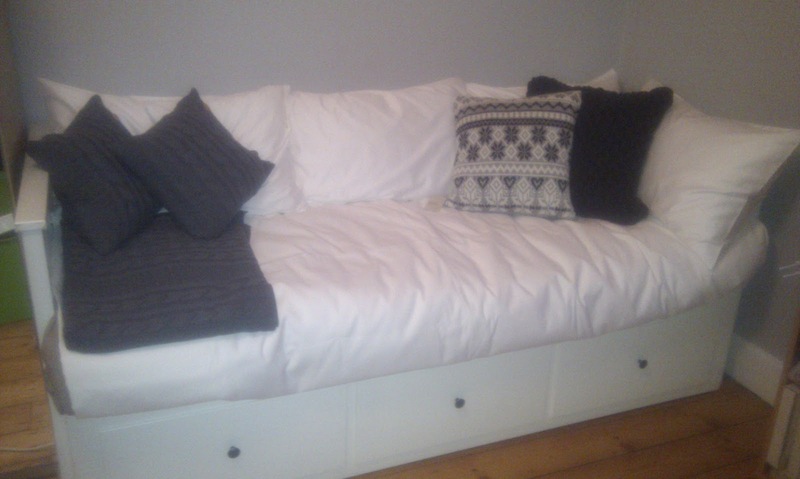 Those of you who have read my cushion post - with numerous cushions for my new snug corner on the day-bed in our new study will know that it was a big debate and compromise with Nik over which and how many cushions we should get. I knew it was risky and was fully prepared to negotiate and take this one back if needs be. But he loves it too! Yaaaaaaaay! So here is another quick sneak peek of the room which is almost sorted, just a couple of old bookcases and a few bits n bobs to get rid of now! 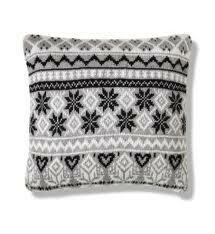 We went for the dark grey option of the chunky knit White Company cushion in the end.